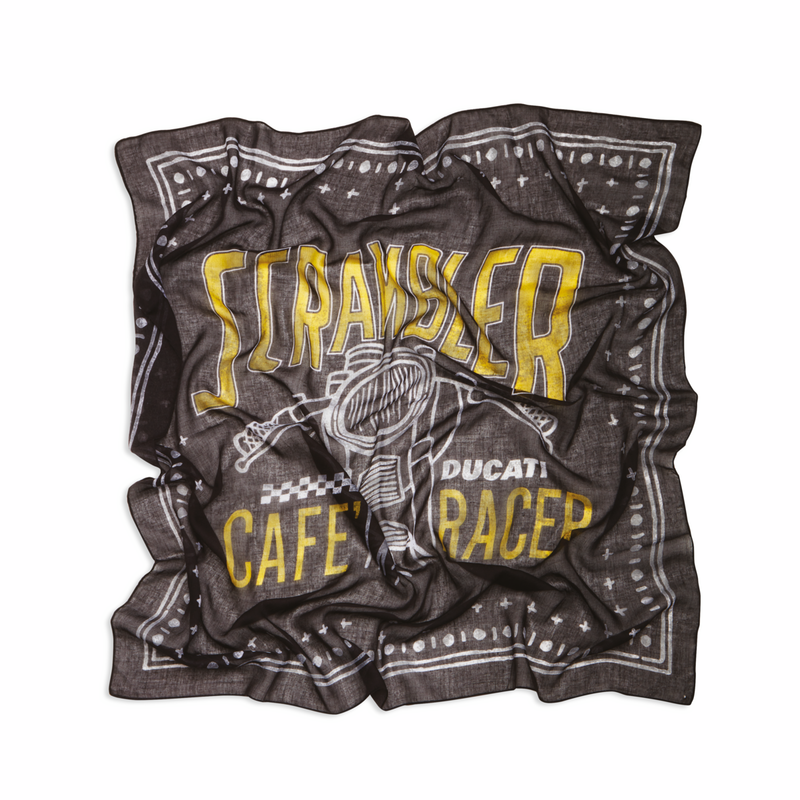 Supple café racer style scarf. Scrambler yellow is the focal point of this eye-catching graphics. A must-have for all Scrambler enthusiasts, mesmerized by this exclusive looking bike.